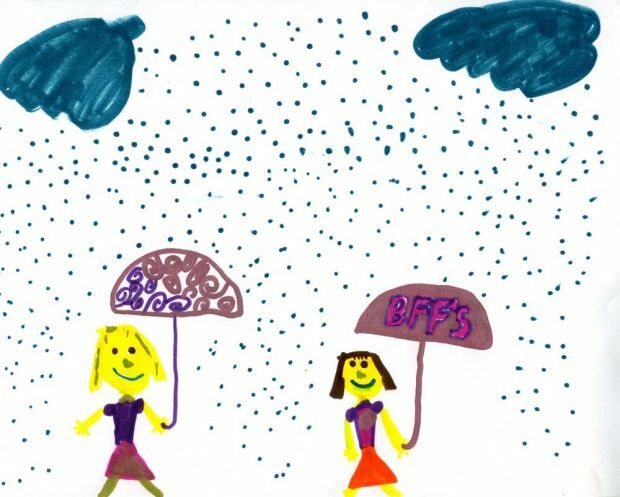 Kaylee Cole, age 10, of Plains sent in a weather picture with BFFs walking in the rain. Weather art from Montana kids runs every day in the Missoulian. To offer your child’s (or students’) creations, please send the artwork on an 8.5×11-inch piece of paper and carefully print your phone number and the name, age, birth date and hometown of the student. Horizontal pictures work best. Send pictures to Missoulian Weather Drawing, Missoulian, P.O.Box 8029, Missoula, MT 59807-8029. The newspaper holds on to each drawing for a month or so after publication, if you wish to stop by and retrieve it. When I came across this picture this morning online in the Missoulian I was filled with a sense of joy. I love that the girls in the picture are out in the rain/snow with their umbrellas smiling. They’re BFF’s (best friends forever) and they seem content simply being together out in the elements. It is snowing beautifully right now. Here in the mountains of Montana the start of spring is more of a loose guideline rather than a hard fact. In general, our seasons of both fall and spring are somewhat short. We have a beautiful summer which lasts about 2 months and then a long winter. And we have a saying here in Montana: If you don’t like the weather, wait 10 minutes. 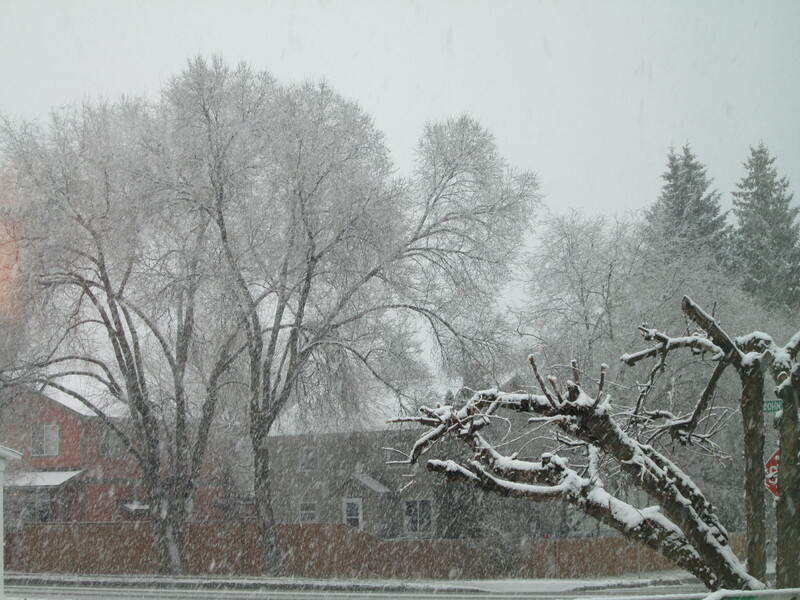 While the official start of spring was March 21st it does not dictate our weather here in Montana. While warm sunny days will start appearing with the start of spring it does not mean the sudden end to wintery weather. But despite the fact that snow is very normal spring mountain weather for us well into April and even May and despite the fact that many people have lived here for handfuls of years and experienced this, still there is a large consensus of folks that think the first sunny day after the start of spring marks the end of all winter weather and they are hopeful it will remain sunny and warm until fall begins in September. Which is completely an unrealistic way of thinking. Browsing through our local Book Exchange store a few months ago I came upon this book (pictured above). Not being an avid reader I didn’t actually get to reading it until recently. 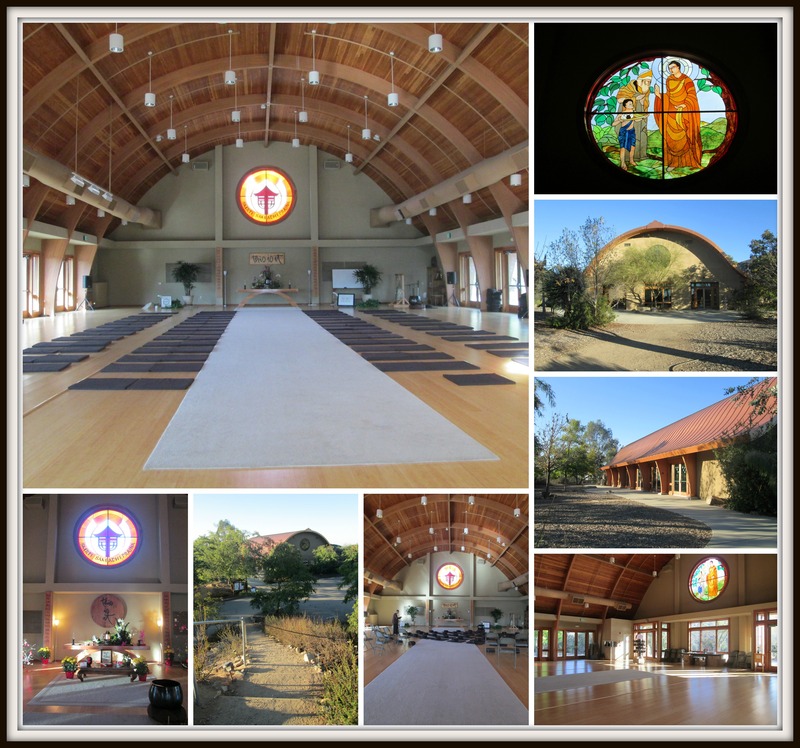 But with my new morning routine, since coming back from my recent one-month retreat at Deer Park Monastery, I’ve been waking up early, reading, and then practicing sitting meditation. 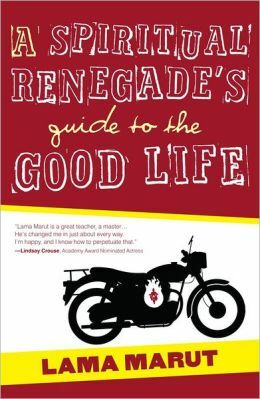 I’m almost finished with this book entitled, A Spiritual Renegade’s Guide to the Good Life by Lama Marut. And while I’ve not connected with everything in this book I have very much enjoyed it and would recommend it to others. Lama Marut’s book is filled with humor, insight, real world correlations, big fancy type words I had to look up the definitions for, and a laid back approach, and did I mention humor? On the back of the book cover it explains Lama Marut as “an ordained Buddhist monk, a university professor, a surfer, and a motorcycle enthusiast.” And while pictures of motorcycles grace the front cover of the book and are peppered throughout the chapters, there is no real connection that I can ascertain between them and the content he writes about. So, in case you were wondering, this book does not, as the cover may imply, have anything to do with motorcycles. I think it is Lama Marut’s clever way of drawing us rogue spiritual types in to pick up the book :) And apparently, in my case at least, it worked! 1. I am of the nature to grow old, there is no way to escape growing old. 2. 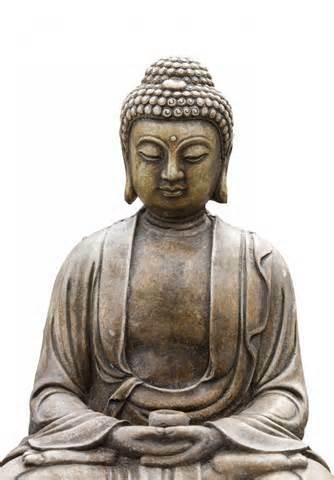 I am of the nature to have ill health, there is no way to escape having ill health. 3. I am of the nature to die, there is no way to escape death. It is easy to put off our happiness onto some future day and time yet to be disclosed. It is easy to put off our gratitude until all of the “right conditions” line up. It is easy to overlook telling those we care about how much they mean to us. 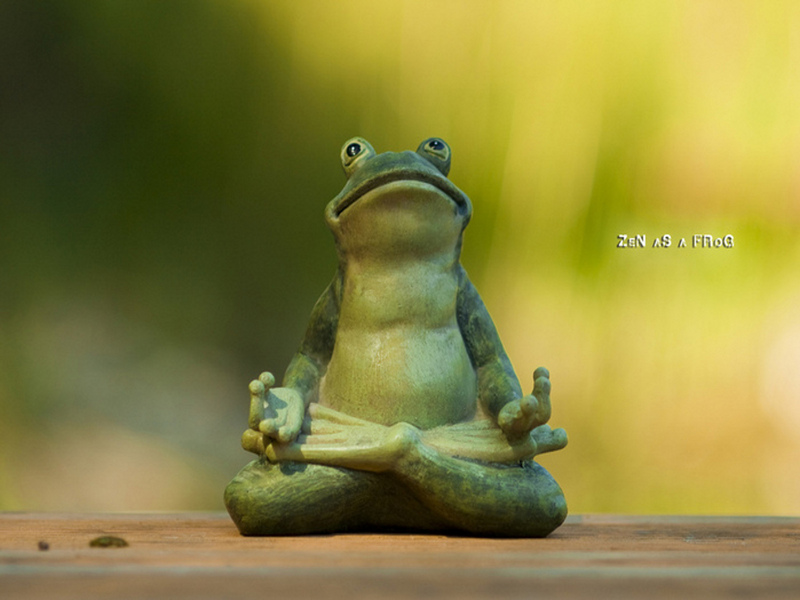 It is easy to live a life of busyness, stress, anxiety, sorrow, and anger, thinking one day it will suddenly change and everything will become clear. 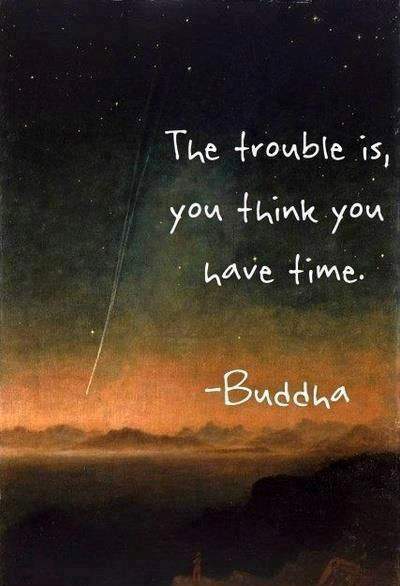 To transform our present moment into a wonderful moment is of the utmost importance. To wait until tomorrow is too late. Right here, right now, this moment, this is it! I flew into Seattle yesterday from LAX and found the word CANCELLED next to my flight number on the electronic departure board. I headed to the Alaska Airlines customer service desk to find that our flight’s crew had “timed out.” Apparently that meant that we either did not have a full crew to fly or they were unable to fly due to being over their allotted hours. A couple of passengers were frustrated, understandably so, especially for one man who might miss his brother’s wedding. While I was looking forward to seeing my husband and son I also felt very well taken care of in light of my new travel plans. The airline put me up in a nice hotel, the Double Tree, and booked me on a flight in the morning. I took a well-heated shuttle bus to my hotel (it was very cold in Seattle) and when I arrived I was greeted with a nice warm chocolate chip and walnut cookie (a Double Tree specialty), which was simply delicious! It was around 8:30pm when I arrived in Seattle last night and as that has been about the time I’ve been going to bed while on retreat I was quite tired. So I was very grateful to be given a warm cookie and a warm comfortable bed. Life always happens just as it is meant to, even when the conditions are unexpected. En route to Missoula…perhaps. At the gate in Salt Lake City, where I picked up my connecting flight after Seattle, we were told that while there is currently good visibility in Missoula that it is subject to change. If the weather changes there’s a chance we will land instead in Kalispell, where the airline would then bus us to Missoula. Only time will tell if my travel adventures will end soon or continue on.